Dark, angry, bewitching and hungry – a new phoenix rises from the ashes of an already forgotten band. Songs for the soul have been forged from the heart. Earth stomping hand-made guitar rock from Hamburg’s dark rooms with feminine dragon figureheads will make stages insecure in future. The band “Red Dead Roadkill” consisted once of a completely different constellation under the name of “Road Kill”. After miles and miles under his feet the only remaining member of the band was guitarist and songwriter Bob Lee. As he finally lost his way he sought inspiration in a sweat lodge far away from civilization in the deepest australian outback. Their songs are concerned with a variety of subjects which everyone can identify with. These subjects are transformed into lyrical pictures often seen in another light and through the music are processed emotionally. The subject matter deals with the relationship with oneself and our fellow human beings inside an every changing and increasingly speed orientated world. It is important for the band to give something special to its listeners and at the same time remain musically open and diverse. 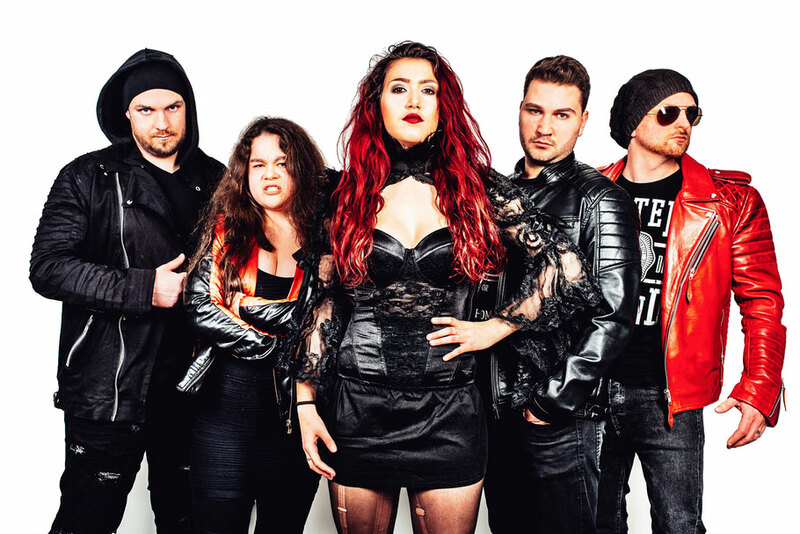 The band’s music style is described by themselves as Red Death Rock ,which is a mix of hard rock, alternative and a pinch of pop rock- very consistent, many faceted and versatile. Partly quiet, but still forward moving rock with heavy metal influences and at the same time harmonic and full of feelings. Music is successful as soon as it moves people. The demand for their album, merchandise and further concerts shows that they are on the right way and have reached people with their music. Passion for and fun in the music are of primary importance for the band. A confrontation with pain, anger and frustration is set to music by the band in their debut album “Sweet Songs of Anguish”. The album was mixed and mastered by Masterplan boss and ex Halloween guitarist Roland Grapow.